Note: If you choose the Economy Shipping option when you check out, you can order up to two copies of the hardcover and up to three copies of the paperback for the low flat rate of $5 in the US, $11 to Canada, $13 for the rest of the world. 35. Is Diversity Really a Strength? 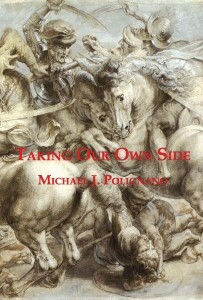 Michael J. Polignano was born in 1980 in Frederick, Maryland. He graduated from Emory University in 2002. He is a writer, publisher, activist, and Information Technology consultant based in San Francisco. This is his first book.